Lieutenant Colonel John McCrae (1872-1918) an officer in the Canadian Army, wrote a poem called ‘In Flanders Field’ which reflected the sweet voice of creativity amidst the destructive forces of war. Rachel Bishop, touched by his words, decided to design a prestige vase which would restore a natural world almost destroyed by man and war by using a heavenly tune as her own personal tribute to all those of a brave and creative heart whose lives were stolen from them before their time. 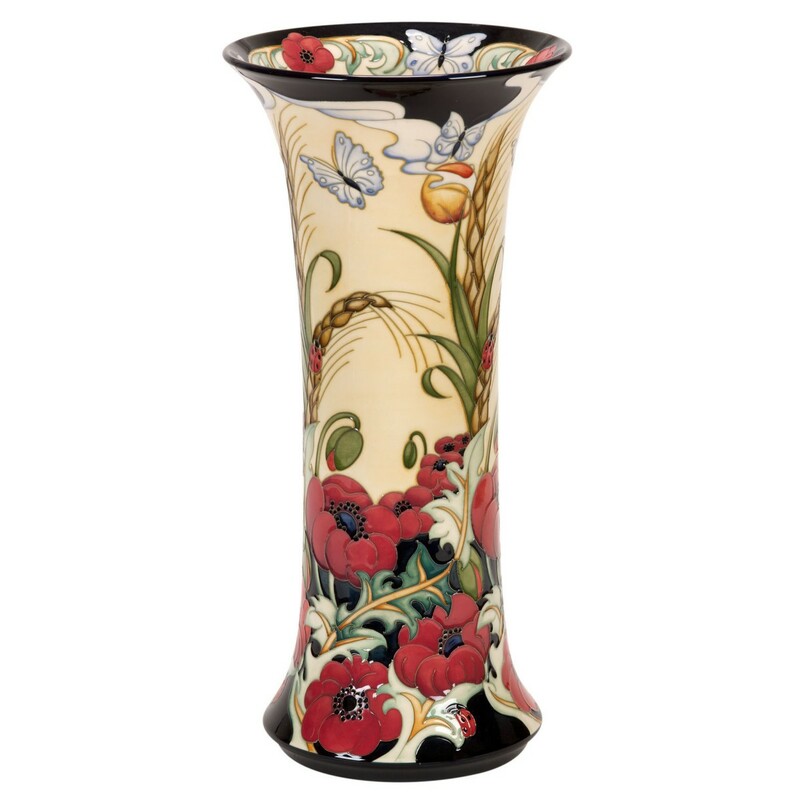 Delicate butterflies flutter effortlessly in fields of golden corn, while rich, blazing-red poppies rise triumphantly from the earth at the base of a fine, prestige vase.